This was a busy week (aren’t they all?). William’s first tooth broke through Friday night, so none of us slept well that night. 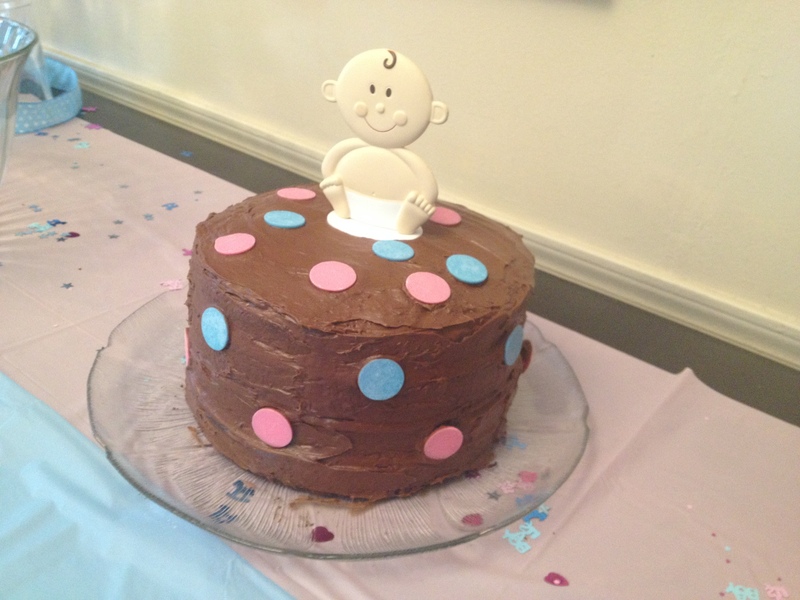 On Saturday I hosted a Gender Reveal party for some close friends of ours. Inspired by Hannah’s instructions for an Easter cake, I made a gender reveal cake and hid blue m&ms inside instead of Easter eggs. 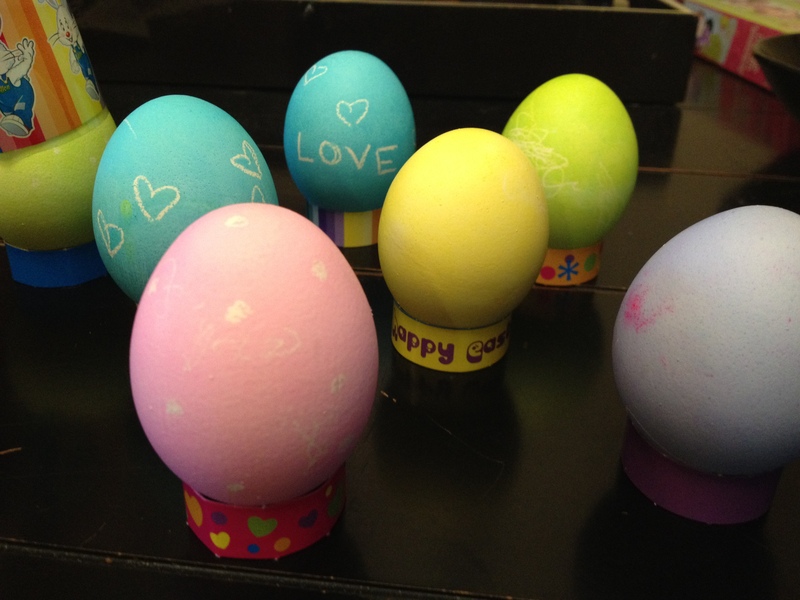 We colored Easter eggs early in the week and had a lovely day with friends and family on Easter. I love working on my blog, and I’m still trying to get into a routine and find a way to fit it into my life. 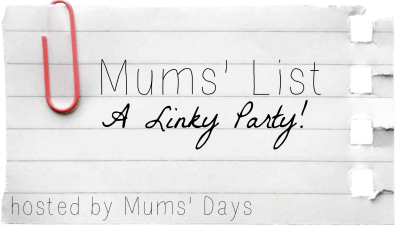 I’m a little late on my Mums’ List, but I did manage to publish a post about Easter basket ideas before Easter was over. I pin most of my blog posts and usually get at least a few repins and likes. When I pin an post to the large group board that I’m lucky to belong to, I often get 50+ repins fairly quickly and it continues to grow over time. Not all of my posts are related to the group board, and so not all of my pins are promoted equally. This week I’ve been inspired by the blog Run Salt Run. She’s a fellow mom, she’s into both yoga and running, and she wears really cute running shoes. I’m a newbie to running and love hearing about the thoughts and experiences of an experienced runner. I’ve been inspired to work on my breakfast routine by making healthy breakfasts ahead of time for the week so I can grab-and-go in the mornings. 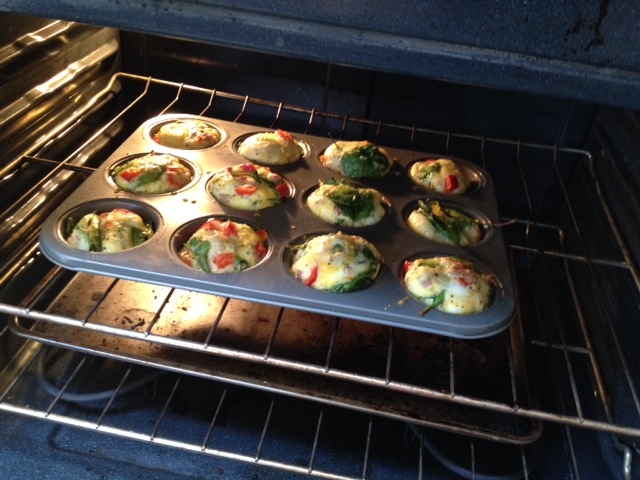 Last week I made a batch of Pear Quinoa Breakfast Salad to eat throughout the week, and today I made a dozen Veggie Quiche Cups . Hope you all have a rejuvenating week!